The landscaping on any property helps create a very fresh and airy look in the immediate surroundings. These spaces are always a combination of different types of elements and installations and if you want to use the space optimally, it’s best to get these areas designed by experts in the field. Landscaping requires skill, experience and expertise and when you are getting the outdoors spaces of your property designed and installed, it’s important to hire professionals like the ones at LR Landscaping & Pavers for the job. The outdoor spaces of your property are a mix of different features and elements that have to be used in the right proportion to create a well-balanced and functional landscape that will be a pleasure to use. This involves deigning it well, choosing the right materials and getting the installation done from experts in the field. The objective is to ensure all the features are planned and designed well and that they last for a very long time without too much trouble. There are a number of different aspects to getting a stunning landscape that’s easy to maintain and one that adds value to your property; this is where landscape design comes into the picture. The designers take the preferences and likings of their clients into account and provide plans that include these requirements. This helps create spaces that will function well and provide years of trouble-free service. Lawns are part of the overall appeal of the outdoor spaces of your property and just like any other plantings in the landscape; they too need a certain amount of regular attention and care. The company that handles landscape maintenance for you will also typically include lawn care in these packages. If you want to hire the company only for lawn care, they can provide those services too. Most turf care packages include aspects such as mowing, de-weeding, fertilization, pest control, aeration, re-sodding and more. The one way to ensure that the outdoor areas on your property stay looking great for a number of years is to get these areas planned and installed by experts. They will make sure that all the elements and features are planned well and that the installation is carried out to the highest standards. Most well-established landscaping companies also provide landscape maintenance services and can design custom packages based on your specific needs. If you are planning on getting any landscaping work done on your property, you want to make sure that the company you hire would be able to provide excellent, customized solutions and this is where local companies such as LR Landscaping & Pavers come in. 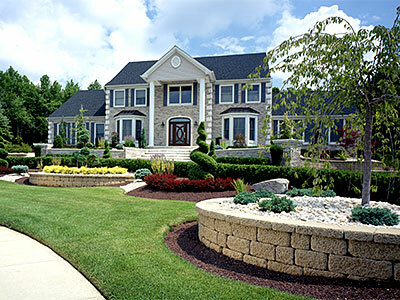 They will provide you excellent landscape design and installation solutions, at a very competitive landscaping cost.